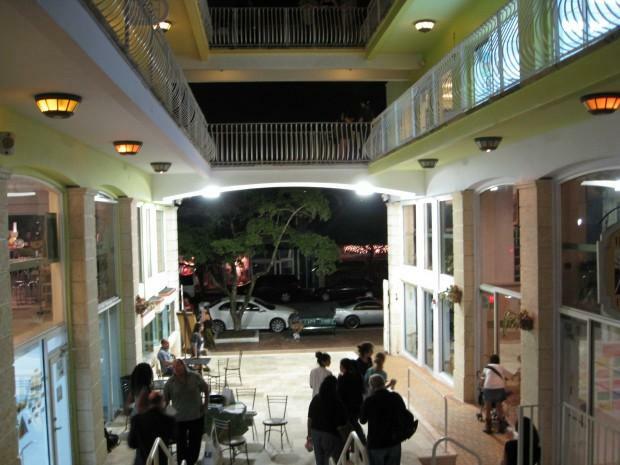 The Academy of Arts and Minds in Coconut Grove used to be a shopping mall. But no one was buying space. That’s when the owner of the property started up a charter school and now rents the property to his school. People who want to start up their own charter school must go through a rigorous application process. But after that initial hurdle, the school founders get a lot of freedom over how to run their publicly-funded schools and who to hire. And because of loopholes in Florida statues, a lot of taxpayer dollars can end up in the hands of one person. Progress reports in Miami-Dade county schools have already been issued. But students at the Academy of Arts and Minds in Coconut Grove didn’t get a grade in biology, because they haven’t had a biology teacher for the first six weeks of school. And on Open House night, parents want answers. Parents introduce themselves as Janeysi’s mom and Hannah’s mom. But Sharon Blate, the new biology teacher, doesn’t know who Janeysi and Hannah are. “I have no idea who is in my class. I have not even seen the list yet. At a quarter to six was the first time I walked in here,” said Blate. The school district has been rewarding Arts & Minds for being a high performing school by allowing it to increase enrollment. And the school’s had trouble keeping up. Teachers were not hired on time and there aren’t enough textbooks. Parents aren’t surprised. They have started complaining to the district about how the school is run. Last month, the school district cited Arts & Minds for charging inappropriate fees for textbooks and classes, though the school hasn’t cashed the checks it collected. The founder is Manuel Alonso-Poch. He charges $900,000 a year in rent for leasing his property to the school. Another $150,000 for serving kids lunch. And he recently got a $90,000 no-bid contract to manage the school’s finances. In total, Alonso-Poch can collect more than $1,000,000 a year in taxpayer funds directed to the school. Some parents say it seems like Alonso-Poch started the school just to sell it a bunch of services. He’s personally donated more than $2,000,000 to keep the school afloat, and he hasn’t been charging rent every month. And at a time when education spending is being cut, Alonso-Poch says having so many roles at the school allows him to fill in the gaps in state funding. Charter schools around the country are known for having overlapping business ties. And Marcus Owens, the former department head of the IRS’s tax-exempt division, says that has given charters a reputation at the IRS for having a high potential for corruption. A loophole in Florida statutes creates this potential for abuse. Applicants for a charter don’t have to disclose their business plans in the application. And once a charter is approved by a school district, the district hands over millions of dollars to a governing board—a governing board hand-picked by the founder. Tiffanie Pauline oversees charter schools in Miami-Dade County. She says the school districts can’t tell charters how to spend their money or who to hire. The governing board at Arts & Minds includes the founder’s first cousin and a former co-worker. The district has launched an audit investigation to determine whether the board has a conflict of interest.